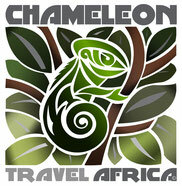 Agreement for participation in the projects of Chameleon Travel Africa (referred to in this document as CTA). This is an important document. We have intended to use plain English but if there is anything you do not understand or wish to have explained you should seek independent advice from a lawyer, Citizens Advice Bureau, Law Centre or other agency. The Participant will be allowed to transfer his/her placement to another person at any time. In this event, a transfer fee of € 200,00 shall be payable by the Participant to CTA. Date changes for participation at the project of choice are not subject to charges up until 91 days before departure. If the Participant wishes to change dates within 90 days before original departure, an administration fee of € 250,00 shall be payable. The date change is subject to availability of a placement for the Participant at the Project of his/her choice.